The April 2019 issue of the free DKARS magazine features an article in English – Simple dual band dish feed for Es’hail-2 / QO-100 by Mike Willis G0MJW, Remco den Besten PA3FYM and Paul Marsh M0EYT. The May edition of HackSpace magazine, issue 18, featuring articles by radio amateur Jo Hinchliffe MW6CYK is available as a free PDF. 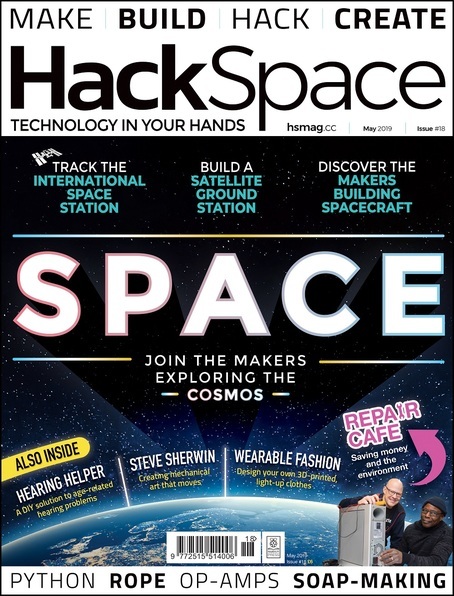 On pages 34-47 is his special feature on Space, which explains how you can build a SatNOGS satellite ground station to receive amateur radio satellites. Jo’s article Make a Slim Jim Antenna appears on pages 110-111. Also in the magazine, on pages 96-99, Ben Everard explains how to build an ISS count‑down timer. Dave G4DPZ reports on a change to the URL used by the AMSAT-UK Data Warehouse for the FUNcube amateur radio satellites. Hence, all information at http://warehouse.funcube.org/ will no longer be updated. You can search for your site name or order the columns by clicking on the column header. There have been requests for the existing style of ranking, including age colour, for each satellite. I will be implementing this in the next couple of days. Hope you like the new site and and feedback will be welcome. 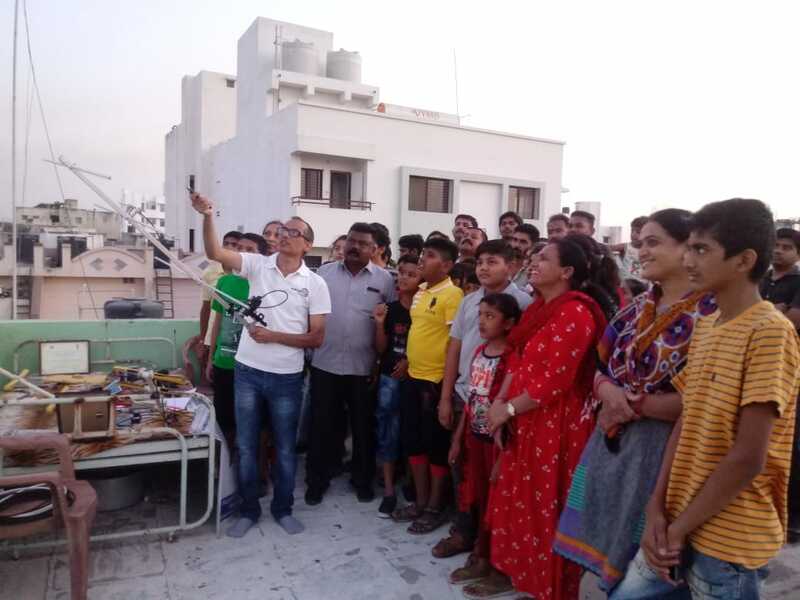 50 students in Rajkot, India enjoyed a live demonstration of Slow Scan Television (SSTV) from the International Space Station during a visible pass of the ISS. To spread awareness of Amateur Radio, Satellites & ARISS activities in the region we conducted interesting event recently. 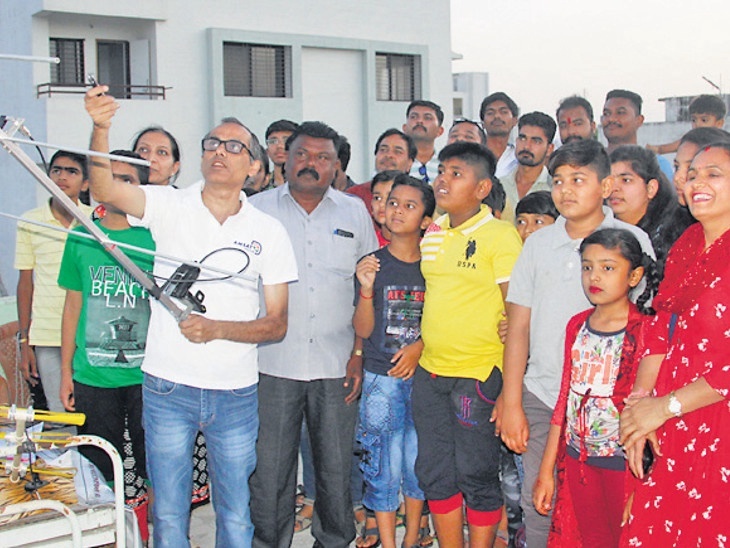 On April 12, 2019 we openly invited students & citizen of Rajkot – Gujarat to be present & witness SSTV Live Demonstration, that too during Visible pass of ISS from terrace of my home. More than 50 students & citizens assembled to my QTH by 18:30 IST (13:00z). We gave printed ISS tracking chart/ISS crew details to all of them, and explained how to use chart. 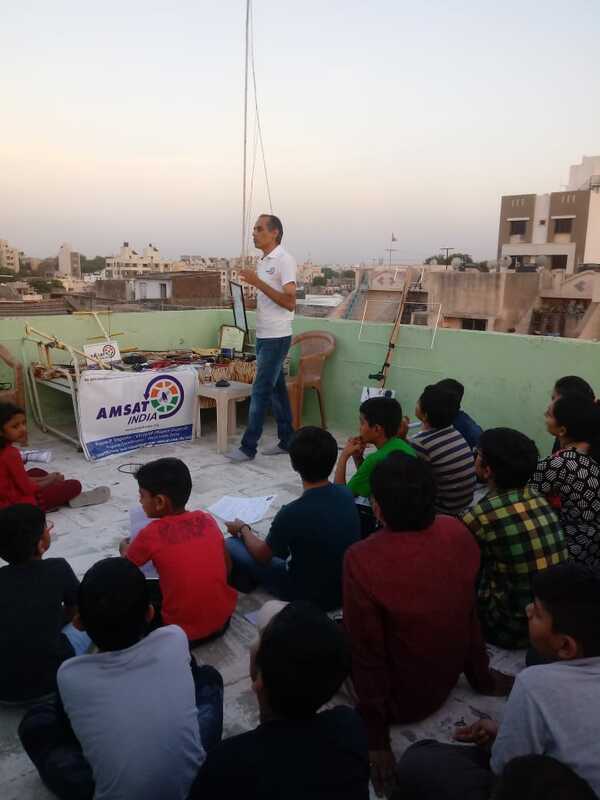 Myself Rajesh Vagadia VU2EXP gave brief talk on Amateur Radio, ISS, OSCAR Satellites, Life of Astronauts, ARISS SSTV event, Student Outreach Program etc for one hour. Small display of radio stuff were also kept. Everybody get excited to learn such new things (for them) happening in Ham Radio world. Good Visible ISS Pass of -3.0 magnitude with elevation of 36° was targeted for Live Demo, calculated for my Grid ML52jh. With my 3 ele Yagi, VHF HT & recording device we started to track ISS at 19:27 IST (13:57z). Within a minute ISS started to appear from NNW direction moving towards SE. Students were requested to control their excitement & to keep silence as we were also recording audio. Soon sstv signal also get heard on 145.800 MHz. 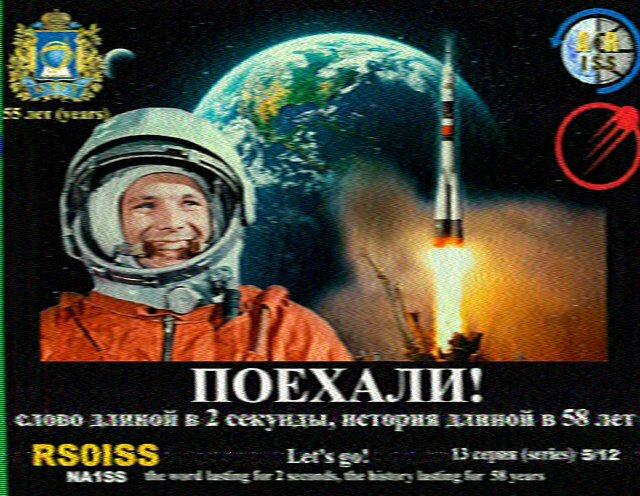 SSTV signal for two images were received & recorded. It was exciting experience for all to sighting ISS at the same time getting signals from it, felt like having handshake with ISS crew! 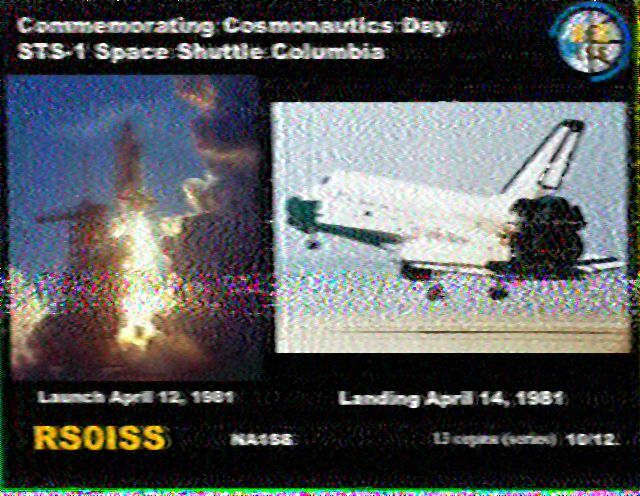 After pass, we amplified weak audio in Audacity & decoded two images (though bit noisy) with MMSSTV. Decoded Images were shared with all students as souvenir. It proved great learning experience for all. Had lots of Q&A till late and enjoyed light refreshments at end of the program. As everything was arranged at our home I need to thanks my XYL Kiran, harmonic Snehal VU3WHO, brother Prakash VU3PLJ & nephew Priyesh VU3GLY for extending helping hands. I am thankful to all hams and members of ARISS, AMSAT, ISS Crew, Space agencies, SSTV Award Manager etc involved in such a wonderful educational event offered to the world! The IARU Satellite Coordination Panel has announced the amateur radio frequencies for the Australian 76 GHz CubeSat CUAVA-1 that is expected to launch in July 2019. CUAVA-1 is a 3U CubeSat and the first CubeSat project of the new ARC Training Centre for CubeSats, Uncrewed Aerial Vehicles (UAVs), and their Applications (CUAVA), whose primary aim is the education and training of people, mostly PhD students, for the space sector. With significant heritage from the QB50 CubeSat INSPIRE-2, CUAVA-1 is a 3U CubeSat that will link with the international radio amateur community for outreach, training, and increased data downloads, observe the Earth with a novel multi-spectral imager, use a GPS instrument to explore radio occultation and the reception of GPS signals scattered off the Earth as well as provide a backup determination of the CubeSat location, investigate plasma environment and associated space weather with radiation detectors, and explore the performance of a new communications payload. 1) Global Radio Amateur Participation in Mission and Data Downlinking We will work with radio amateurs and other groups to receive and decode the spacecraft beacon and downlinked data, with subsequent transfer to the internet database (ideally the SatNOGS database). In detail, the CubeSat will transmit data, especially recent images over the terrestrial footprint, to participating radio amateurs across the globe. 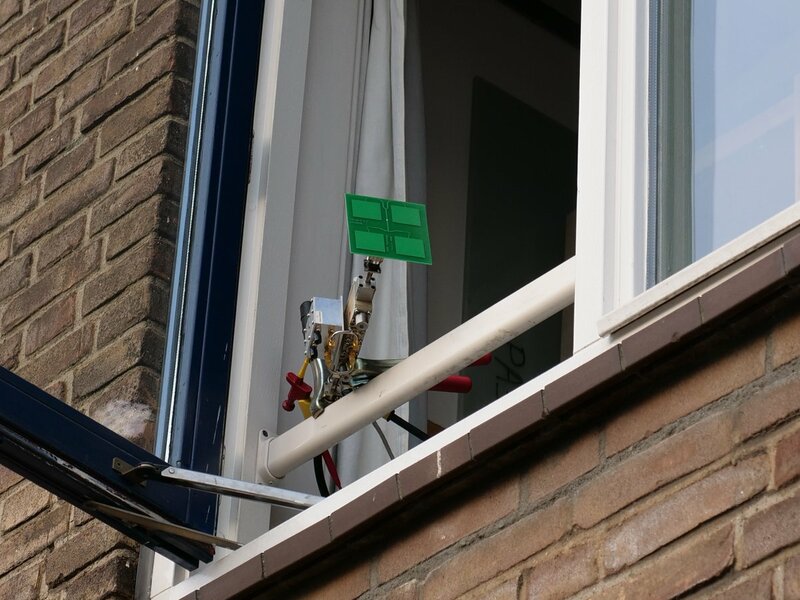 This will directly involve radio amateurs in the mission and its success, by greatly increasing the overall amount of downlinked data available and having the images be directly relevant to the receiving people. The receiving station and people would be identified in the database and then acknowledged in any publications resulting. The mission’s success will thus be directly tied to the involvement of the international radio amateur community. In addition, the mission should provide multiple opportunities for enhanced outreach and training for both the global amateur radio satellite communities and CUAVA. 2) Student and Radio Amateur Participation in the Groundstation We will train students and desiring radio amateurs in the setup and use of a groundstation hosted by the University of Sydney and then have these people operate the groundstation (including control of the satellite and managing the uplink and downlink) and transfer downlinked data into an internet database (ideally the SatNOGS database). This will involve existing radio clubs in the training, increasing their memberships and leading to new clubs and people familiar with the international radio amateur and satellite communities. 3) Radio Wave Propagation The ionosphere, thermosphere, and lower atmosphere have multiple effects on the propagation and absorption of radio waves and microwaves. This mission will study the electron number density as a function of position, time of day, and space weather events using the “radio occultation’’ of GPS signals and their associated refraction and attenuation. These data will be published and made available for ionospheric research via a website, and provided to Australia’s Bureau of Meteorology and other space weather organisations worldwide. These data are used to predict maximum and minimum usable frequencies for radio amateurs (and both commercial and government users). In addition, the GPS signal attenuation and electron number density profiles can be used to extract the amount of water as a function of height and used to predict ordinary weather. This work will also add to knowledge of the orbital environment via the drag forces and decay of satellites depending on the gas and plasma densities. 4) Communication Protocols Modulation techniques that will be investigated for the high-speed communications experiment include QPSK, 16-QAM and CPFM. If successful, this technology for wavelengths below 10 cm will increase the data transfer rates by at least 4 orders of magnitude while also decreasing the sizes of antennas and the associated spacecraft. This experiment will be relevant to spacecraft-toground and inter-spacecraft communication links and is particularly relevant to radio amateurs, universities, and their students and staff, due to the dramatic increases in data rates and capabilities and associated dramatic reductions in costs. In addition, the use of multiple frequencies is important for rain (and moisture content) attenuation mitigation techniques, as well as to provide another data stream for weather prediction. 5) Radiation Effects on Electronic Components The Low Earth Orbit (LEO) environment is protected from cosmic rays, solar particles, and particles trapped in the Van Allen Belts by Earth’s magnetic field. Some portions of LEO do harbour regions of enhanced radiation, in the auroral zones and the South Atlantic Anomaly (SAA) for example. In addition, transient solar and magnetospheric particle energization events, a major component of space weather, can change the radiation level by orders of magnitude. This radiation can adversely affect spacecraft which pass through them. This mission will directly measure the counts of energetic particles as a function of space weather activity, position, and time of day, thereby characterising the Earth’s radiation environment. It will also study the effects of the radiation on the computer and other onboard electronics. Examples of effects include single event upsets (SEUs), degraded solar cells, and non-functioning electronics such as radio receivers and transmitters. 6) Attitude and Position Determination Reception and analysis of GPS signals by the onboard GPS receiver will determine the spacecraft’s attitude and location as a function of time, thereby determining the satellite’s orbit. Comparisons with NORAD radar-derived orbits will test the on-board GPS receiver and measure drag and other effects. 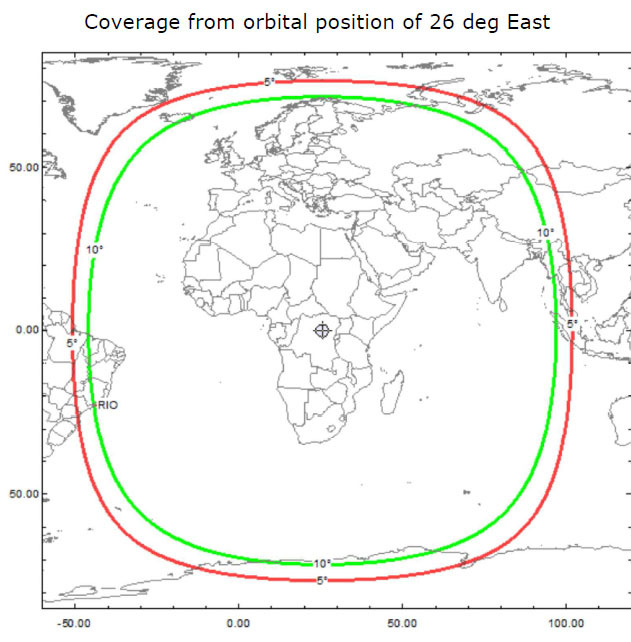 These orbits are vital for radio amateurs interested in testing and characterising their radio equipment, as well as in downloading the satellite beacon and data signals for transmission via the web to the satellite project and the international community. Proposing to downlink telemetry on 9k6 GMSK AX25 on UHF and high speed downlinks on 2.4 GHz, 5.6 GHz and 76 GHz. Planning a launch from Japan in July 2019 into a 400 km orbit. 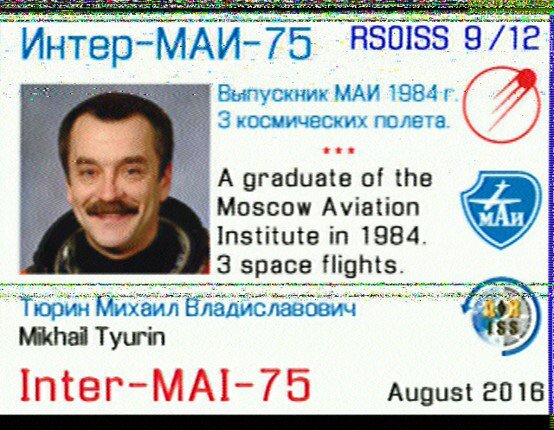 ARISS Russia is planning Slow Scan Television (SSTV) image transmissions on 145.800 MHz FM from the International Space Station. UPDATE April 12: Transmissions on Thursday and Friday, April 11/12 had very low audio. Dmitry R4UAB reports the ISS cosmonauts plan to try to fix the issue on Saturday, April 13. On Monday, December 3, 2018, the 50 kg ESA Education Office satellite ESEO was launched by Space-X on the Spaceflight SSO-A SmallSat Express mission. Following the launch from Space Launch Complex 4E (SLC-4E) at Vandenberg Air Force Base, ESEO separated from the launch vehicle and automatically activated the periodic transmission of its telemetry beacon. However, by the time out of a predefined period, having not received commands from the ground station, the spacecraft automatically entered into safe mode. Some initial communications issues were experienced by ESEO in receiving commands from the ground stations in Forli’ (Italy) and Vigo (Spain), but they were resolved when the ESEO team of the Observatory of Tartu offered the possibility to use a ground station in Estonia. This is capable of transmitting with higher power, for a temporary contingent use. 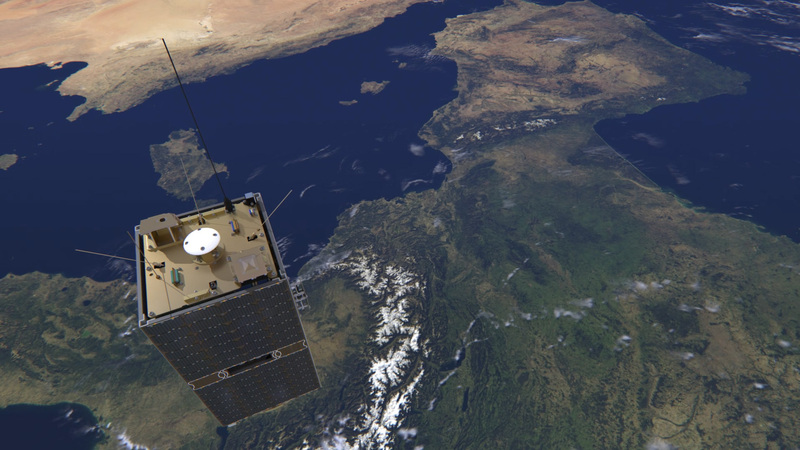 The Estonian ground station has been configured to be operated remotely by the ESEO MCC team, which involves students of the University of Bologna. ESEO then started executing the commands transmitted from ground. ESEO has now completed the LEOPS (Launch and Early OPerationS) phase of its mission, reaching the platform nominal mode and has begun the process of commissioning the whole satellite: firstly the platform functions, with the payloads functions following. As part of this commissioning process, but subject to the successful completion of other preparatory tasks of the platform subsystems commissioning, it is anticipated that initial testing of the AMSAT communications payload will be carried out within the next few weeks. The payload has, additionally, a high speed, 4800 bps BPSK data format downlink and also a Mode L/V FM transponder both of which will be tested. The BATC and AMSAT-UK 10 GHz Narrowband WebSDR and Wideband Spectrum Viewer for the amateur radio transponders on the Es’hail-2 / QO-100 geostationary satellite are now available online. The geostationary satellite Es’hail-2 carrying amateur radio transponders launched from Kennedy Space Center at 20:46 GMT on Thursday, November 15, 2018 and is now in a geostationary orbit at 25.9° East. The transponders should link radio amateurs across a third of the globe from Brazil to Thailand. 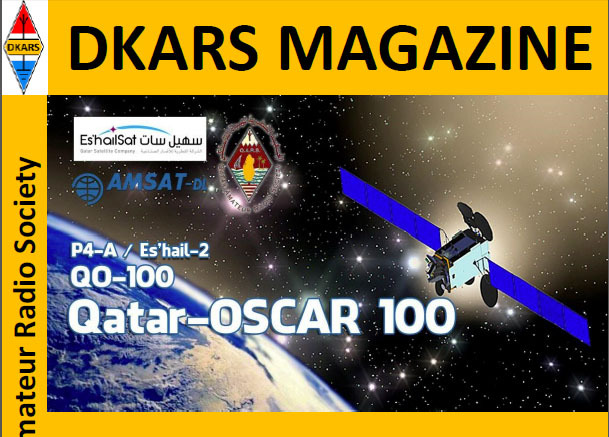 Qatar OSCAR-100 is the first geostationary amateur radio transponder, a joint project between the Qatar Satellite Company (Es’hailSat), the Qatar Amateur Radio Society (QARS), and AMSAT Deutschland (AMSAT-DL) which provided the technical lead. 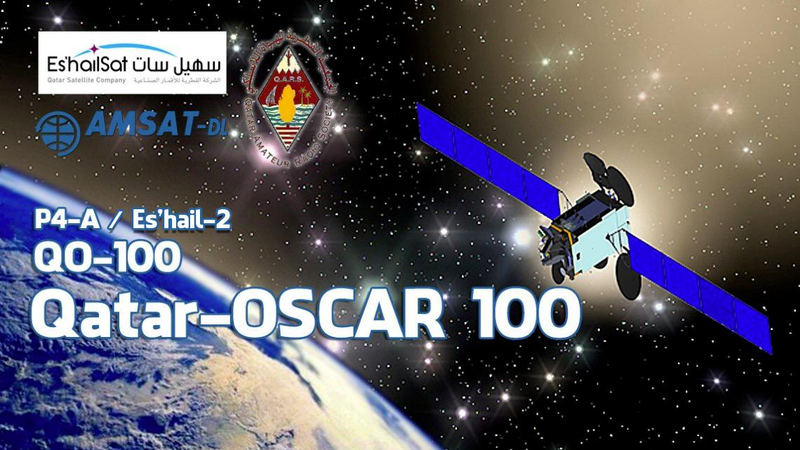 OSCAR-100 is hosted on Es’hail-2, a Broadcast Transponder Satellite owned by the Es’hailSat Qatar Satellite Company, the satellite is now in geostationary orbit at 25.9° E.
In co-operation with AMSAT-UK, the British Amateur Television Club will be operating a 10 GHz WebSDR for the narrowband segment, and a Spectrum Viewer for the wideband (DATV) segment. Goonhilly Earth Station is supporting the project, providing hosting for the Ground Station facility at their world-famous site in Cornwall, UK.